Owing to our rich industrial experience, we are instrumental in manufacturing and supplying a superior quality gamut of Non Woven Bags. The products we offer under this category includes Non Woven Printed Bags, Non Woven Rice Bags, Non Woven Advertising Bags, Non Woven D-Cut Bag, Non Woven Vest Type Bag and Non Woven Shopping Bags. All the offered bags are fabricated from eco friendly raw material, thus does not harm the environment and can be recycled easily. We make sure to check this entire range under varied quality parameters before delivering to the customers. 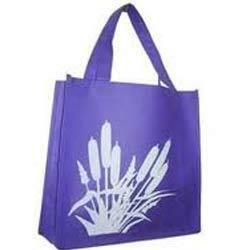 Customers can avail from us a wide gamut of Non Woven Printed Bags in varied colors and shapes. Manufactured using latest technology and optimum grade propylene material, these bags are highly appreciated in the market for their unique designs and patterns. 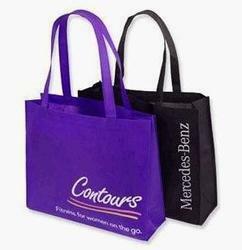 These non woven printed bags are convenient to use and fulfills the distinctive shopping requirements of the customers.We offer this range in standard sizes and specifications at very reasonable prices. 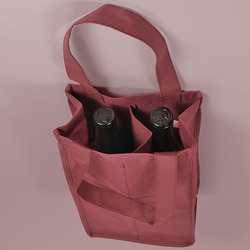 We hold expertise in offering a comprehensive range of Non-woven Wine Bags, which is manufactured using quality raw material. Owing to their reliability, durability, and ease in carrying, these bags are in high demand. Available in a wide range of designs, colors, sizes and patterns, these bags are extensively used for packaging, carrying and gifting purposes. Driven with perfection, we are indulging in catering the customers with optimum grade Non Woven Rice Bags in variety of shapes, sizes and colors.Fabricated from high quality polypropylene, our product comes in coated & non coated version with the packing capacity of 35 kg. Our non woven rice bags are highly suitable for packing rice and are prominently used in grocery shops. Different sizes ranging from 75 gm to 2090 gm. Customers can avail from us a remarkable spectrum of Non Woven D-Cut Bags in desired sizes, colors and shapes at most competitive prices. 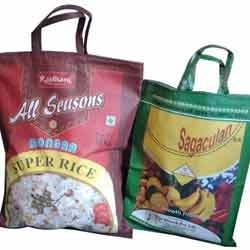 We have fabricated these bags from quality assured raw material which are procured from the reliable vendors of the market. 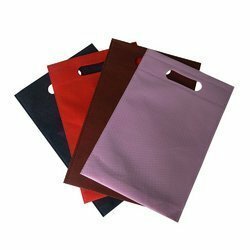 Owing to their easy usage, durability, attractive designs and long lasting colors, these non woven D-Cut bags are highly reckoned in the market. We also offer these bags in custom designed specifications. 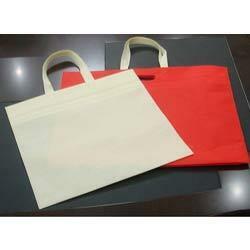 We offer a wide range of Non Woven Bags to our clients. 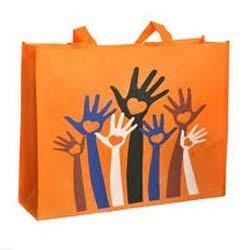 These bags are designed as per the requirements of our clients on the basis of size, color and design. The quality of raw material used for the manufacturing of these bags is optimum to ensure that these bags do not get torn easily. We have with us an exclusive range of Eco FriendlyNon Woven Bags which are manufactured using eco friendly and reusable propylene. The offered bags are widely demanded in the market due to their salient features such as liquid & chemical resistance, dehumidifying nature, non toxicity, convenient usage and longer usage life. To meet the variegated demands of the customers,we provide these non woven bags in numerous sizes, colors and specifications. Our expertise lies in presenting an exclusive range of Non Woven Advertising Bags in plethora of colors, shapes and sizes. Fabricated from best grade factor inputs, our products are widely preferred by the fashion conscious customers for their attractive designing and trendy looks. These non woven advertising bags are easy to carry and posses high load bearing capacity that facilitates optimum user convenience. Clients can avail this range in desired quantities at market leading prices. 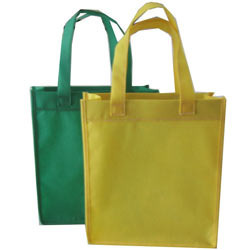 Our organization has attained immense appreciation in the market for providing optimum grade Non Woven Shopping Bags. The offered bags are highly availed in the market for their excellent features like dehumidifying nature, longer usage life, resistance against liquid and attractive looks. Further, owing to their high load bearing capacity, these non woven shopping bags are apt for using in shopping purposes. We offer these bags in different sizes and shapes at industry leading prices. Looking for Non Woven Bags ?